True North Commercial Real Estate Investment Trust announced its purchase of a 122,000-square-foot office complex situated at 6 Staples Avenue, Richmond Hill, Ontario. The 10.33-acre Class “A” office property has been acquired for approximately $33.0 million, exclusive of closing costs. Closing is slated for anytime about September 7, 2018. The purchase is expected to be funded by proceeds True North’s public unit offering last month. 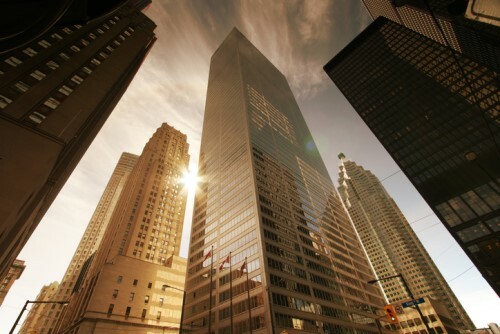 The heightened demand for Toronto’s commercial and industrial properties has begun to emulate the trends in the city’s blazing residential segment, according to a recent analysis by real estate services and investment company CBRE Group. Availability of Toronto’s commercial/industrial space stood at a miniscule 2.2% in 2018, making it the most constrained market in North America. Supply of industrial space also fell to a record low of 3.9% this year, and conditions have tightened in 8 out of 10 major commercial real estate markets. CBRE attributed Toronto’s desirability to its near-ideal location and demographic make-up, characterized by a healthy range of budgets skewing upward.